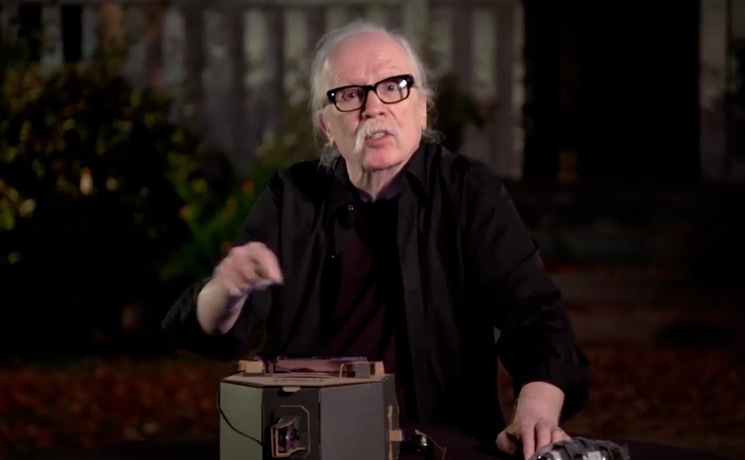 Today is release day for the new Halloween film, and remind us of the film's iconic score, creator John Carpenter has attempted to recreate the theme using Nintendo Labo. However, things hardly went as planned. As you can see in the video below, the folks over at IGN got Carpenter to attempt to play the Halloween theme on a toy paper piano made using the Nintendo Switch DIY kit Nintendo Labo. But even for a musical master like Carpenter, this proved to be a near-impossible feat, leading to him to drop a lot of frustrated F-bombs and one seriously choppy rendition of Halloween theme. David Gordon Green's Halloween hits theatres today, and you can read Exclaim! 's review of the film here. Also out today is Carpenter's new score for the film.